Obituary for John G. Tschannen, III | Readshaw Funeral Home, Inc.
John G. Tschannen, III age 67, on Monday June 18, 2018 of Bloomfield. Beloved husband of Debbie (Ketter) Tschannen. Loving father of Amy Tschannen. 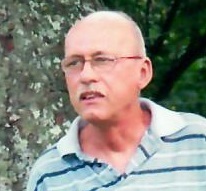 Brother of Joyce Tschannen and Susan (Wally) Neubauer. 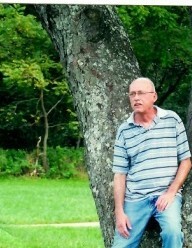 Cherished grandfather of Sabrina, Nathan and Jacey. Great Grandfather to be of Carter John. Uncle of Eric and John. John was a 13 year double lung recipient, a U.S. Navy Veteran during the Vietnam War and a wonderful husband, father, grandfather and will also be dearly missed by his fur baby Stella May. Family and friends received Wednesday from 2-4 PM & 6 PM until time of funeral prayers at 7:30 PM at the Readshaw Funeral Home, Inc. 1503 Brownsville Road, Carrick.